It appears that the year 2017 will be all about cameras as far as the smartphone industry is concerned. Looking at what the Gionee S10 has to offer, this statement cannot be disputed in any way. The smartphone camera craze is not new at all. It all started with dual-lens setups on the back of phones. While this was initially thought of as a way that Chinese manufacturers are using to distinguish their phones from other OEMs in other regions, major names have finally taken this path as well. Last year, we saw the iPhone 7 Plus become Apple’s first ever smartphone to feature a dual-lens camera. While the company beat its archrival Samsung to this title, the likes of Huawei and LG were already doing it with their top-end phones. This feature has now found its way into the midrange market thanks to some powerful processors that are capable of handling even up to four cameras on the same phone. Yes, you read that right! The Gionee S10 has quite a number of impressive specs and features, but none of them is enough to catch the attention of every smartphone enthusiast as the four cameras on the phone. We’ve seen plenty of phones with dual rear cameras as well as others with dual front cameras. However, look around and you won’t find a phone that has dual cameras on both ends. The Gionee S10 has one of the cameras on the back panel boasting a massive f/1.8 aperture, a feature that promises impressive performance in low-light conditions. The company also says that the camera has wider angles of view, can measure distance and has the ability to capture 3D effects, among others. To be more specific, the Gionee S10 has a rear-mounted dual 16MP+8MP camera and a front-mounted dual 20MP+8MP camera. The phone ships with a decent 5.5-inch 1080p display screen, an Helio P25 SoC, a huge 6GB RAM, an impressive 3450mAh battery unit and the latest Android 7.0 Nougat OS out of the box. 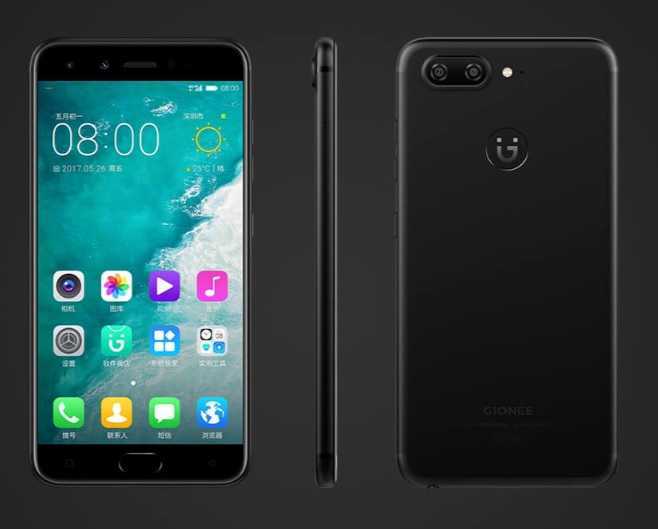 So far, the Gionee S10 has just been confirmed for the Chinese market and there’s no mention of when – or if – it will be available in other markets. In China, it goes for CNY 2599, which translates to about $380. Would you like to have the Gionee S10 in your local market? Let us know your thoughts in the comments below.